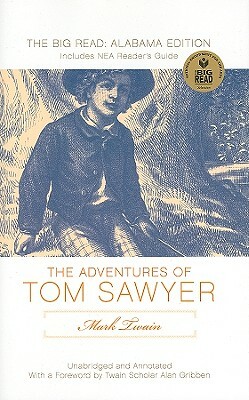 The Adventures of Tom Sawyer is Mark Twain's enduring paean to the joys of childhood in a small town prior to the Civil War. In this novel Twain discovered the literary potential of his early days in Hannibal and created a pair of young characters, Tom Sawyer and Huck Finn, who would earn him lasting fame. NewSouth's edition of Tom Sawyer is unabridged and annotated. It features a letter from Governor Bob Riley, foreword by local Twain scholar Dr. Alan Gribben, and includes the National Endowment for the Arts' reader's guide.